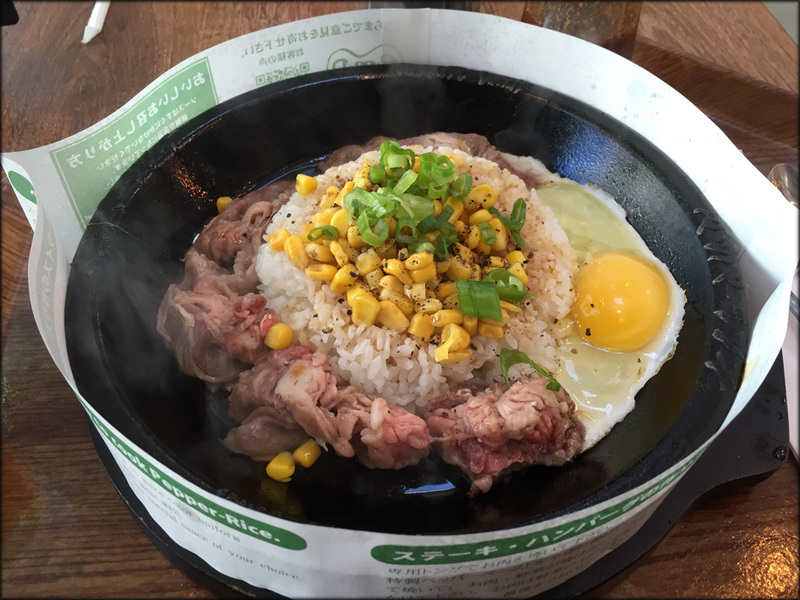 When Pepper Lunch arrived in Richmond a year ago, I had zero interest. For someone who had no contact with the Japanese chain before, the concept seemed too simple to warrant the hype it was generating. Although I do understand it may have been a sentimental thing – something comforting and familiar from Asia against the Vancouver landscape of coffee and kale salads. A year later a second location opened in Vancouver and despite the social media blitz I was still rather blasé about it. However, the Cambie street location had one huge advantage in enticing me to visit – it was only a 10 minute walk from Speedy’s work. We needed a budget dinner option for a catch-up session and neither of us felt like having Shishinori. I have to admit it’s novel to hear the sizzle and see the steam billow from the smoking hot teppan right in front of you. It gave me the sense that this is real food I’m about to eat and not something processed. Despite the visual and audio show, the food is bland. On my visit with Speedy I got the Waygu Pepper Rice with an egg added. I didn’t expect it to be the real deal Waygu, you know the one from Japan, but simply a higher quality of beef. For the most part the beef was tender and beefy. Other than the flavour of the unseasoned meat, my entrée heavily relied on the two provided sauce to make it less dull. 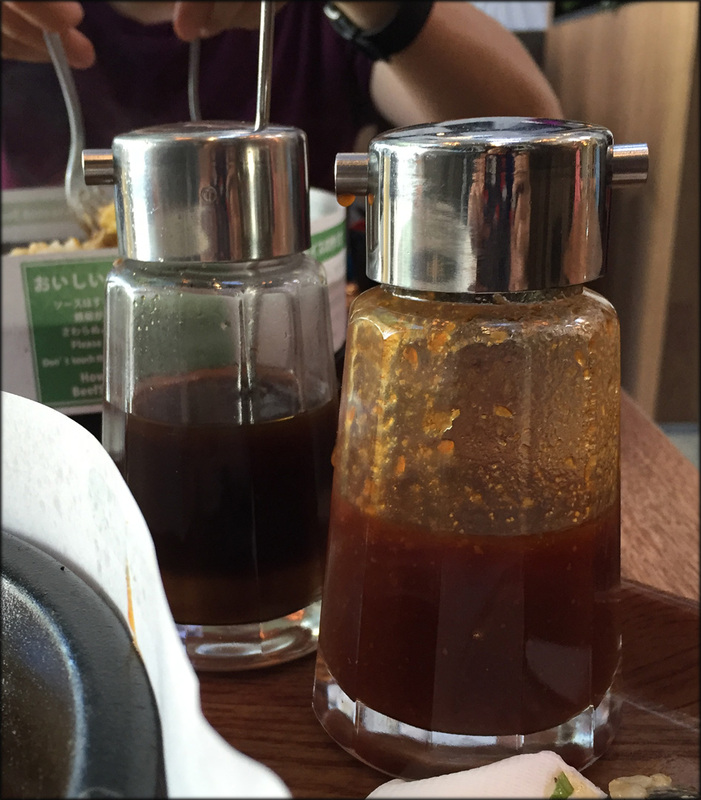 I prefer the sweet Special sauce (in front & lighter brown colour) as it was more dynamic than the also provided plain soy sauce. Since the concept is similar to dol sot bibimbop, I liked the ability to create crispy nutty tasting rice. 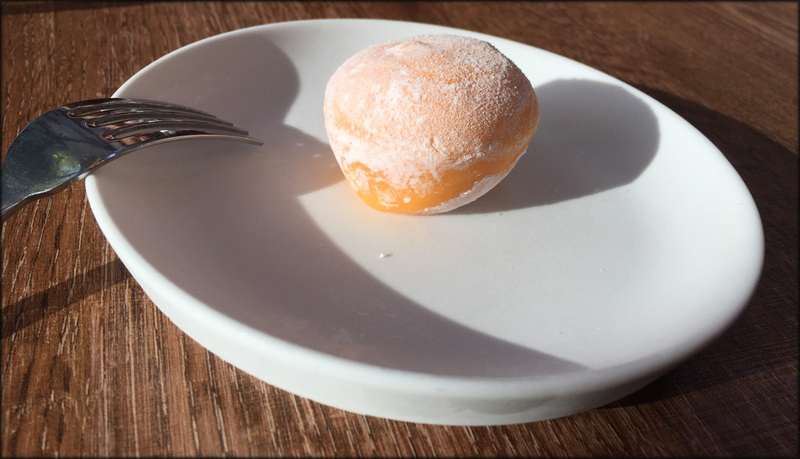 To complete my meal, I got a mango mochi ice cream which was a cute little sweet treat. I love mochi ice cream so no complaints here. 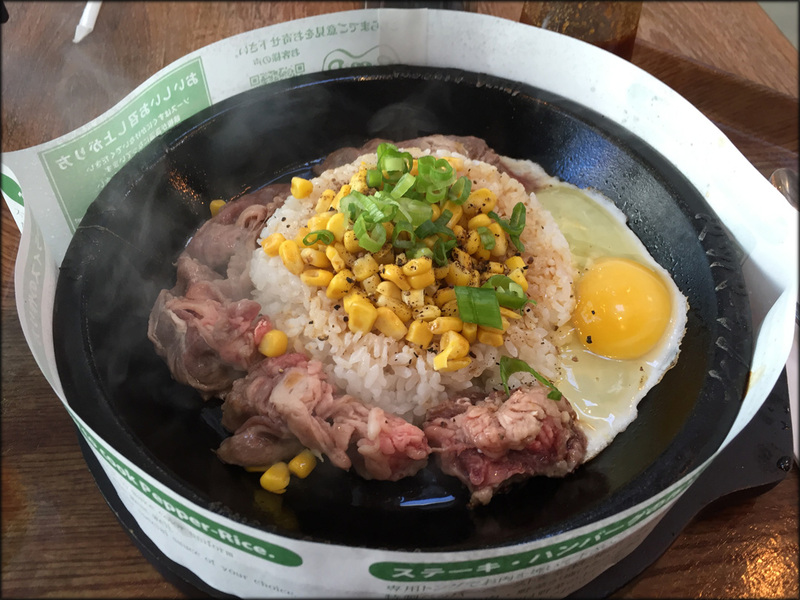 Overall I thought my first experience at Pepper Lunch was solid but not spectacular. 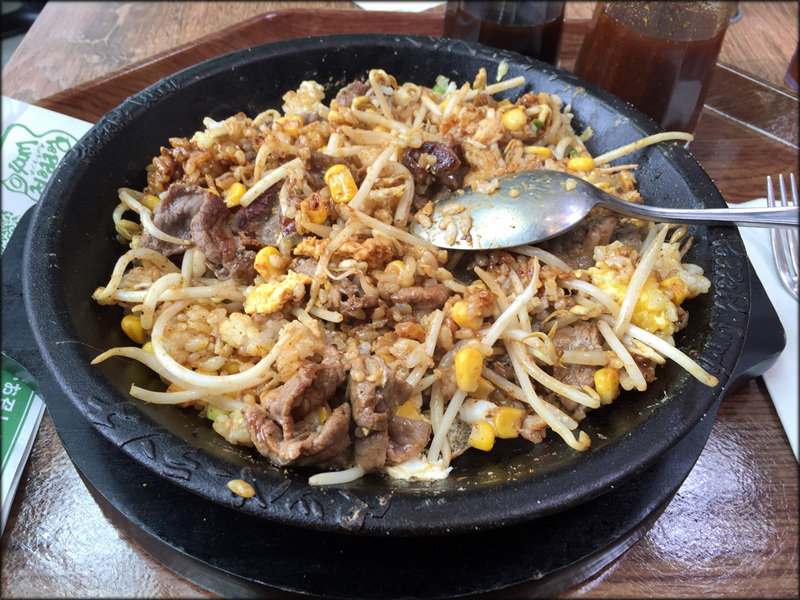 I was intrigued by Speedy’s Beef Curry Rice and returned to try it for lunch a week later. The reason I wanted to try Speedy’s entrée was that the curry was served in powder format and not the usually sauce version. 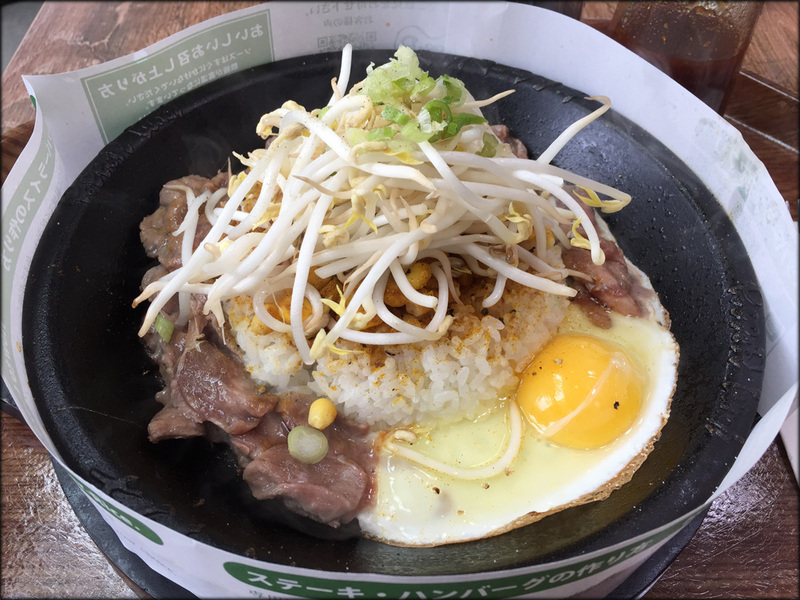 To provide more substance to my lunch I added an egg and bean sprouts. For me the bean sprouts were a mistake. Other than providing crunchiness in your bite of food, the water content in the sprouts just diluted an already bland concept. The curry powder only added a slight spiciness to the dish. 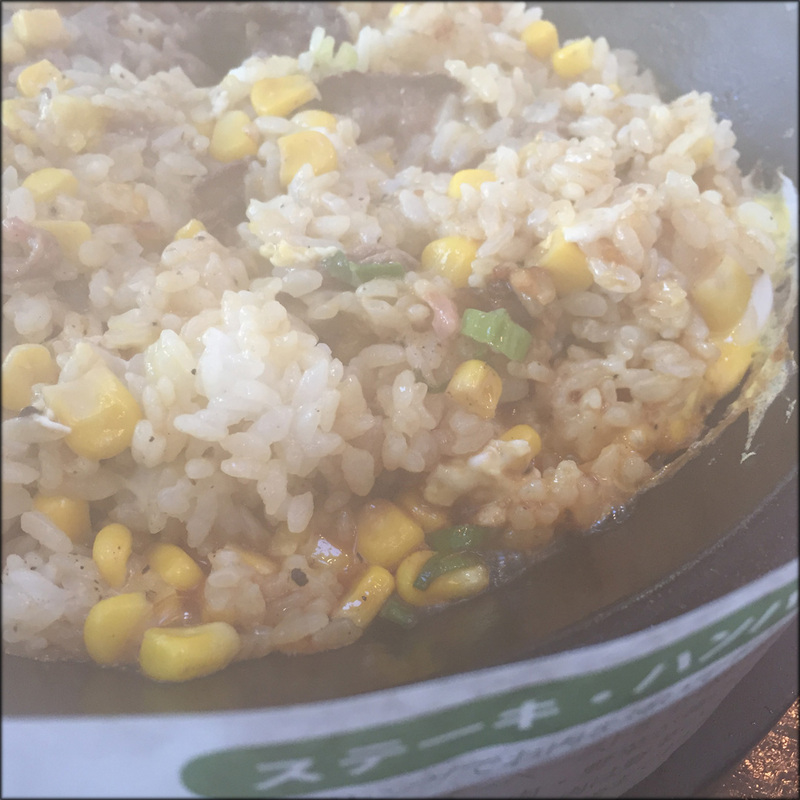 It was not sweet and savoury like Glico curry, or aromatic like Indian curry. I found the flavours to be lackluster and once again had to rely on the provided sauces for seasoning. This time around the beef, which I guess is the regular beef, was sliced thinner than the Waygu version I had previous. As a result, I found the beef overcooked quickly and became chewy. In short, my second visit was not very good. Overall my two meals didn’t impress me. I don’t think I will purposely go to Pepper Lunch for a meal in the future. Although I would rather eat this teppan cooked meal than at a fast food joint like Wendy’s.